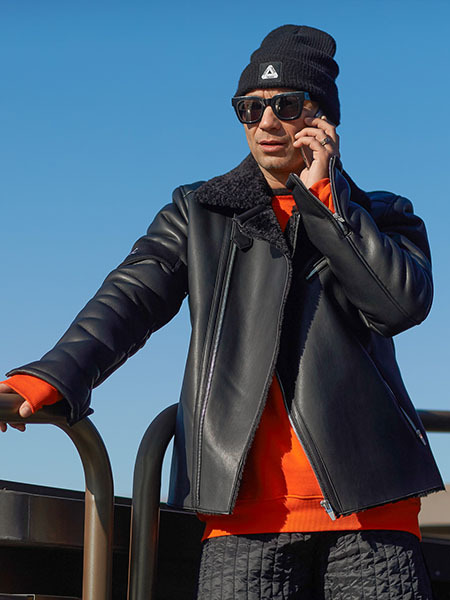 The leather jacket is such a classic and versatile item of clothing that’s been on trend since the beginning of time and will never go out of fashion. 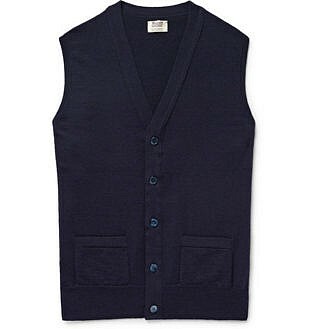 If you don’t already own one, this is a ‘must’ staple piece missing from your wardrobe. 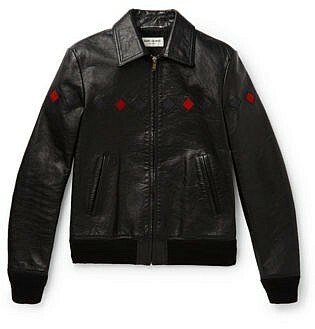 This jacket says some bold statements about your choice of style so be sure to pick the right one for you. If you’re looking for some advice on which one that might be, then look no further. 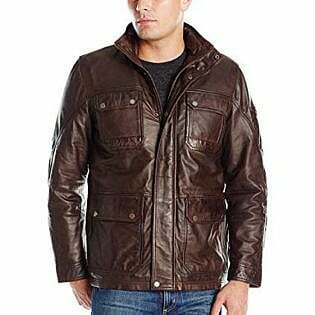 This guide on how to wear a leather jacket will help you to determine which one is right for you. 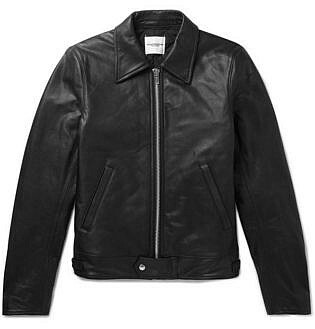 The classic leather jacket is the most understated of the styles. 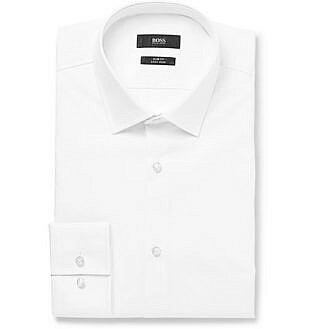 If you’re picking this one, the most important thing to remember is to find a good fit. 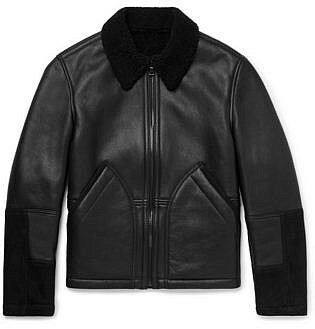 Seeing as there are minimal features to the jacket, it’s all about how it sits. 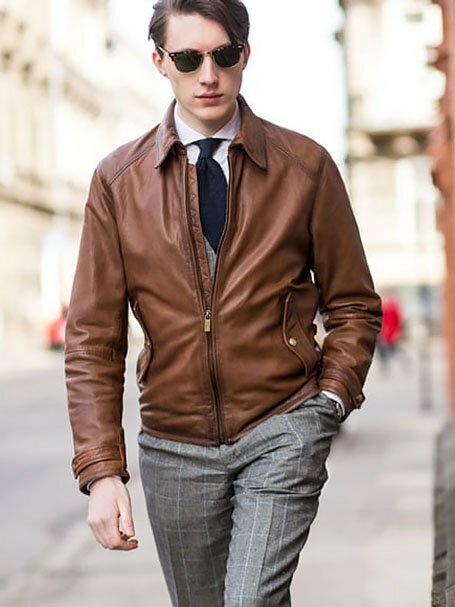 This style is for the more conservative man as it’s the most basic of the leather jackets and doesn’t make as much of a statement in comparison to the others. If you’re just wanting to keep it plain and simple, then this is the choice for you. 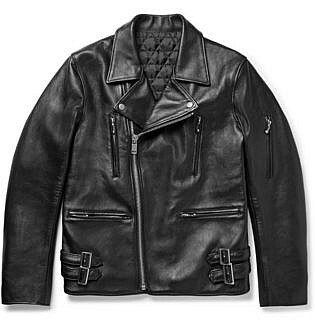 The biker jacket was originally designed for motorcyclists, with their cropped style allowing riders to lean over their bikes without the fastening digging into their body. Just putting this jacket on will give you more of an edge. 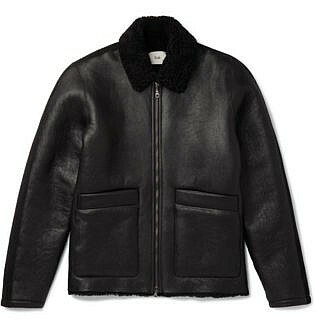 The biker jacket tends to be more eye-catching as it has a lot more features to it, such as buckles, zips, poppers and more, and almost always feature a collar, with large lapels that are designed to fold over each other or snap down. 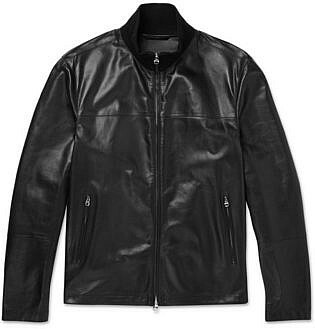 The biker jacket looks slick during day or night, whether you’re hitting the streets or going out for a drink. 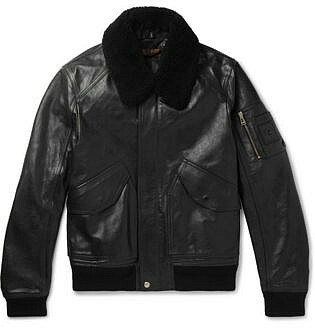 The bomber jacket was the original flight jacket made for pilots back in the day. 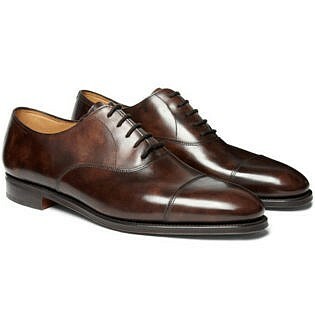 They’re generally quite simple so that the main focus is the shape, cinching tighter at the waist and wrists. These are great when heading to a ball game with your mates or even going out to lunch during the day. 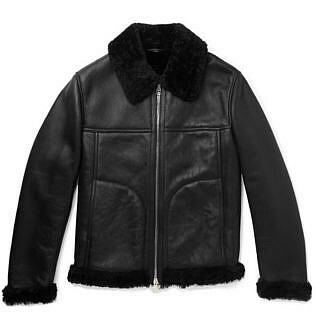 You can pair many different things with this kind of jacket to create different looks. It’s become a seriously popular style in recent times and we’re not surprised as to why. The racer jacket was originally made for just that, to race. After World Warr II, many men started racing motorbikes between the local pubs and cafes for a bit of fun. 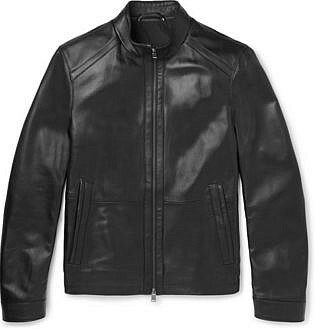 This created the need for a minimalist leather jacket that was heavy enough at the back to provide enough protection with a strong zipper at the front. 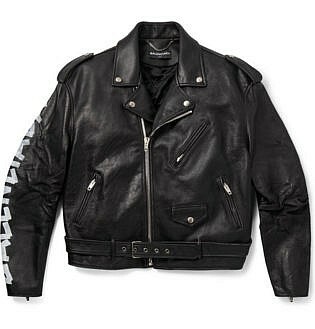 Racer jackets usually are a slimmer fit and have a small amount of detail, including just that front zip. They’re rather ‘minimalist’ when it comes to style and tend to flatter the body, especially if you’ve got bigger shoulders. 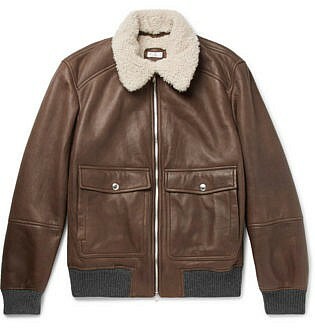 Flight jackets were originally created for pilots with shearling lining made to keep them warm. 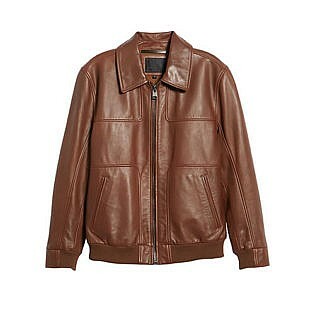 Today, both pilots and your average man wear the jacket, making it both practical and fashionable. They’re a must for winter, as they’ll keep you nice and toasty while looking killer at the same time. 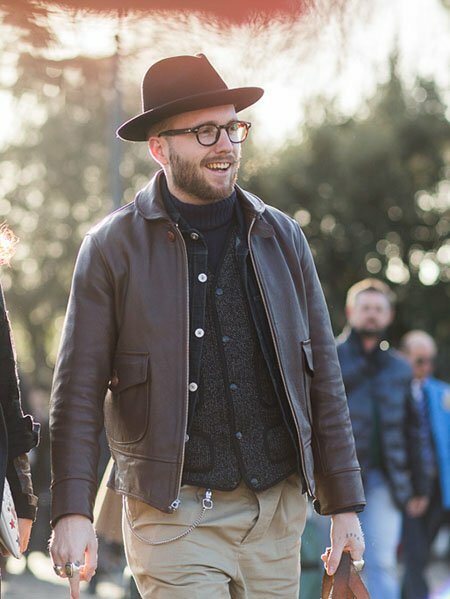 Don’t go overboard with the layering. 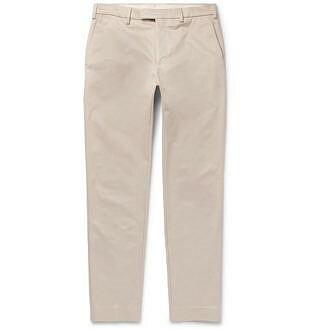 Keep it simple and contemporary with plain trousers and a light gauge knit. 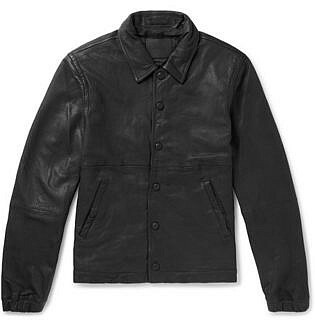 The field jacket was originally created for military wear. 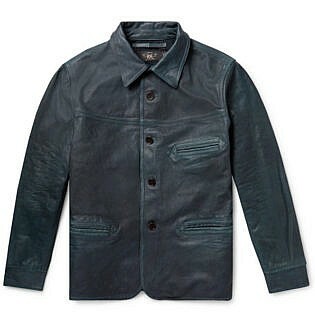 It used to be made in a cotton drill fabric but has since been updated into leather. 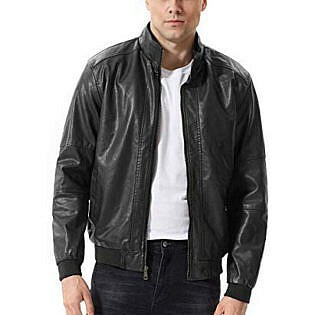 This leather jacket features multiple pockets and can be longer in length to others. The field jacket doesn’t play around, it’s a serious fashion statement. 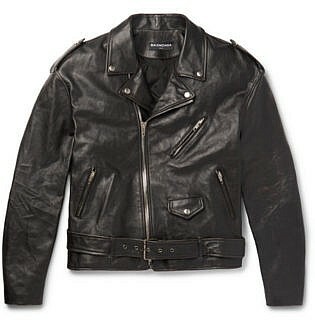 You could even say it looks higher-end than some of your other leather jackets and usually has a snugger fit. 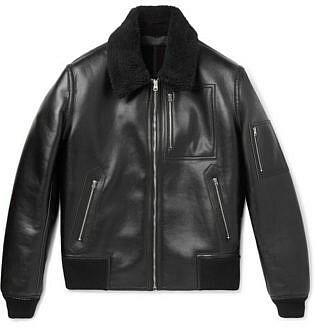 When wearing a leather jacket, it’s best to keep your outfit simple and let the jacket be the statement piece. 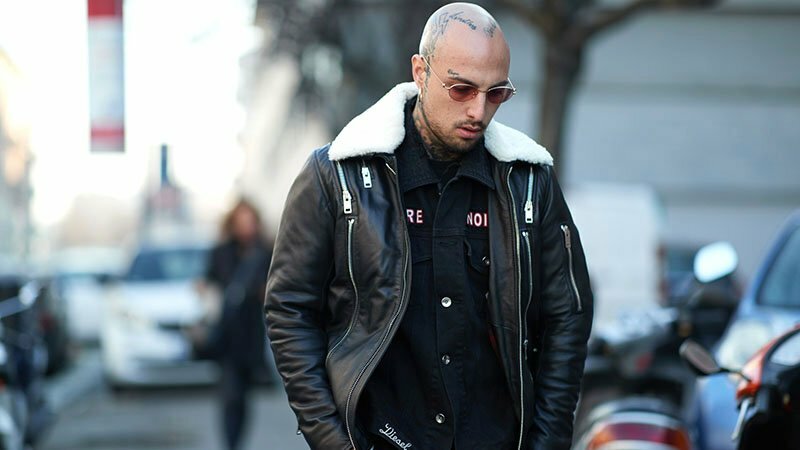 However, there are many options that you can pair with a leather jacket to create a range of different looks, and even those looks can be quite versatile. 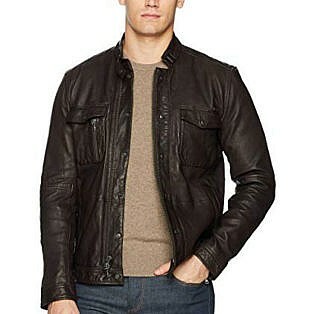 Leather jackets are perfect as they can be dressed down or dressed up, both making an outfit more casual or proper. 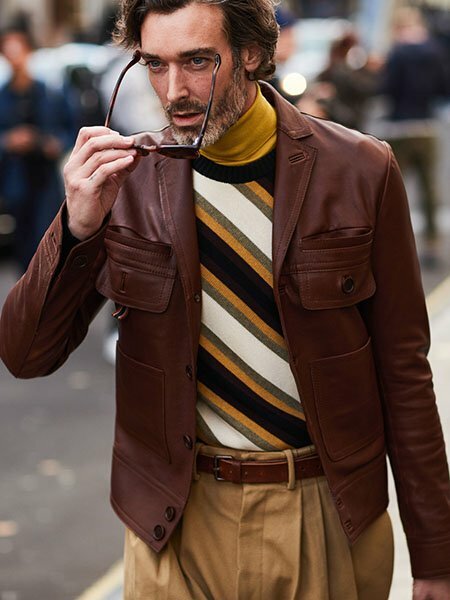 It’ll definitely be the most versatile item of clothing in your wardrobe, that you’ll most likely find yourself reaching for more often than not. 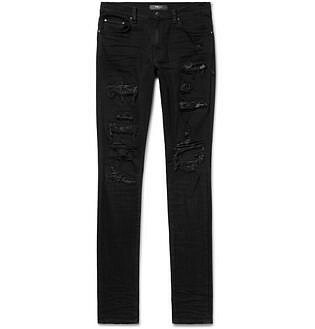 Pair a biker jacket with some black ripped jeans and high top sneakers or Doc Martins. 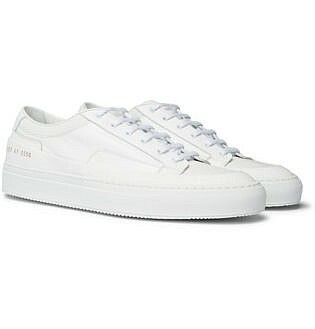 You could even wear a pair of skate shoes for more of a street style look. 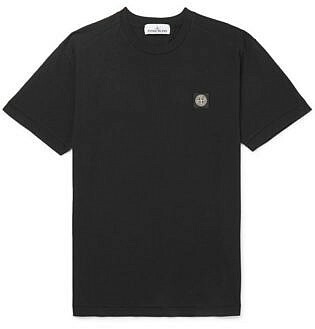 For the top, you could wear a black plain tee or even a band t-shirt. 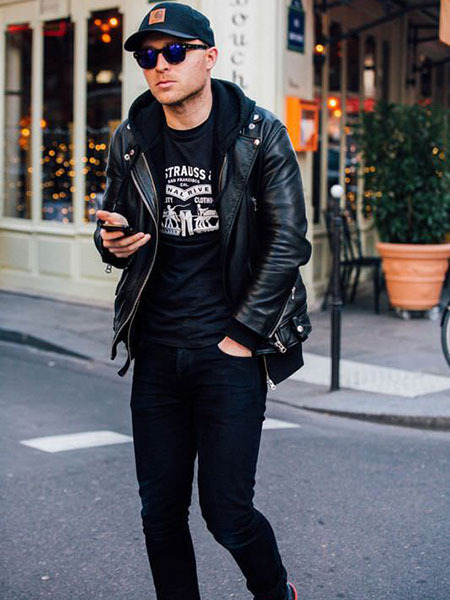 Just remember, the biker jacket always looks best when paired with darker colours to keep the grunge/rocker appearance intact. Keep it simple. 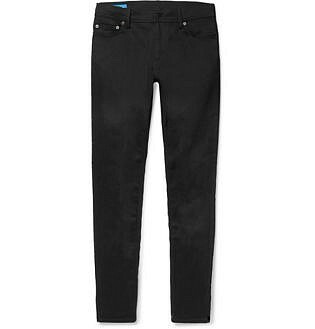 Throw on a black pair of slim fitting black jeans with either a black or white tee that has a logo on it so that it’s not completely plain. 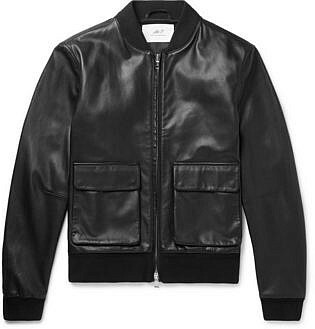 To really make this look sports luxe you could even add a zip-through hoodie underneath your leather jacket. 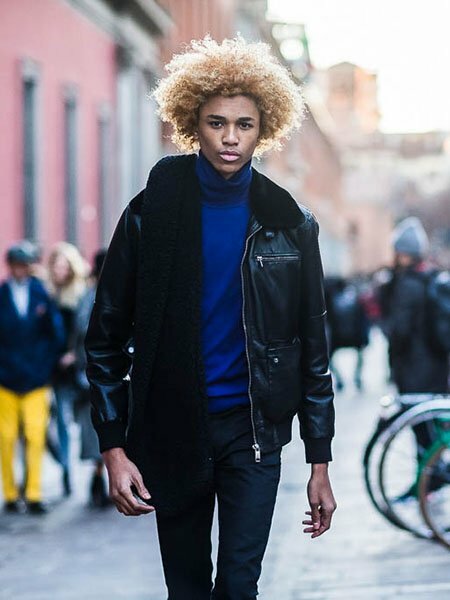 Finally, top off the outfit with a pair of converse or any other similar street-styled shoes. If you’re looking to add accessories, a cap works perfectly to finish the look or even some sunglasses. 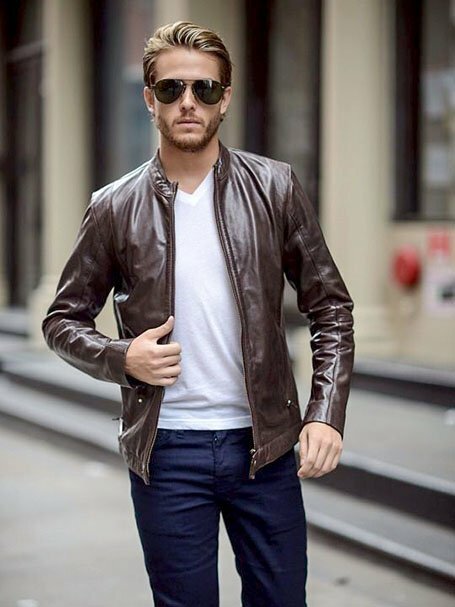 Keep in mind that your leather jacket it the perfect addition to this outfit, adding a bit of luxury to an otherwise, very downplayed look. 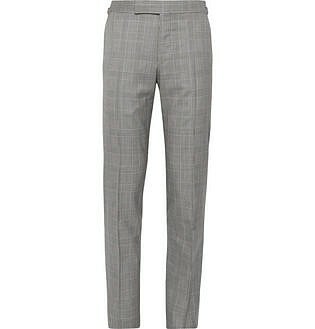 Simply pair a white shirt with some grey slacks and throw on a tie to dress the look up even more. 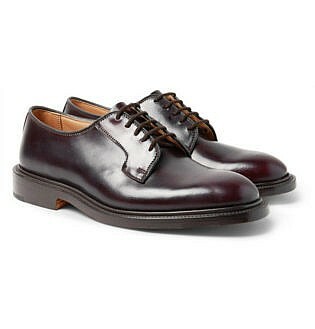 Oxford shoes go perfectly with this, keeping with the preppy style. 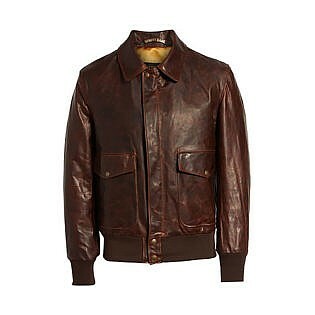 Then finally add your leather jacket, preferably matching it to the colour of your shoes. 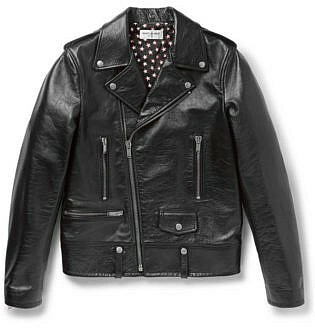 The preppy look is all about sophistication, but the leather jacket adds a bit of spice to it. 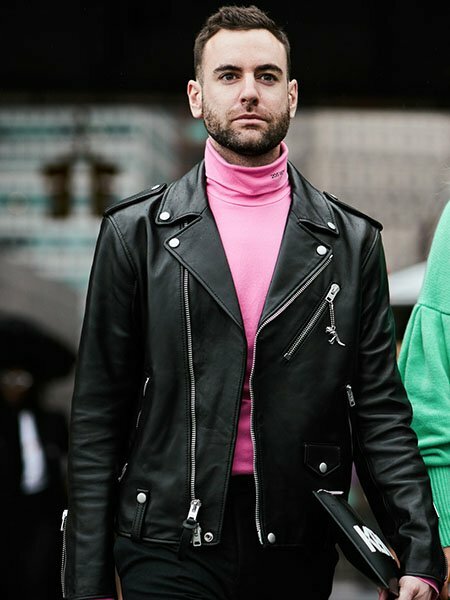 You can always dress up a leather jacket just a little by styling it with a dark turtleneck sweater and a pair of chinos. 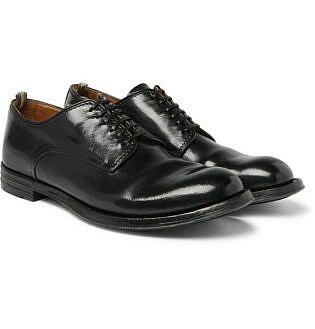 Finish the look off with some derby shoes and a black belt to really be on trend. 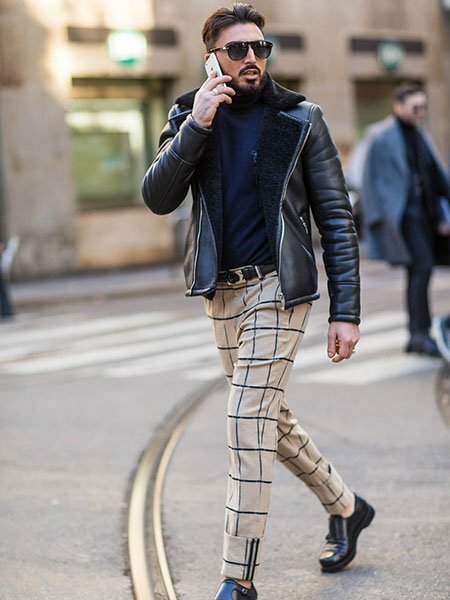 This look is the one to go for if you’re wanting to wear an outfit on the weekend that’s quite stylish, while still wearing your leather jacket. 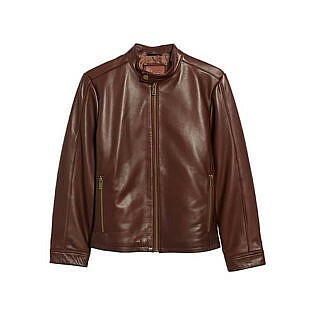 You don’t always want to wear a suit to work, so a leather jacket is the next best thing. 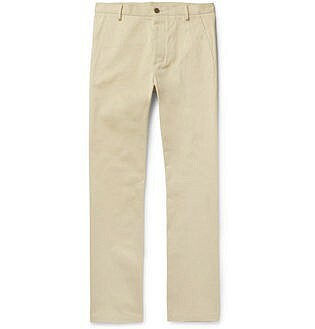 Pair this look with some chinos and derby shoes for the perfect office look. 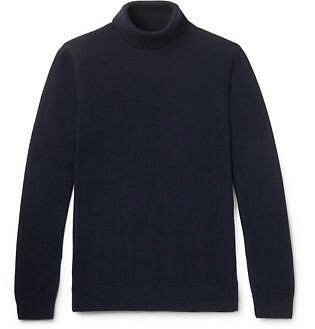 Then try wearing a turtleneck sweater with a vest over the top, finally, adding your leather jacket to finish it off. While this look is still workplace smart, it allows you to feel a lot more casual and comfortable at work. Style is important. 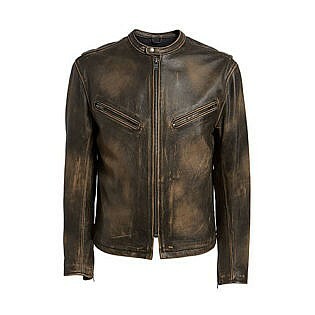 Pick the leather jacket that suits you best and matches the clothing you already have. Black is your best option, it goes with practically anything, therefore, you’ll get the most use out of your jacket, otherwise try brown. When pairing your outfit, keep to neutral colours, the look should be simple. 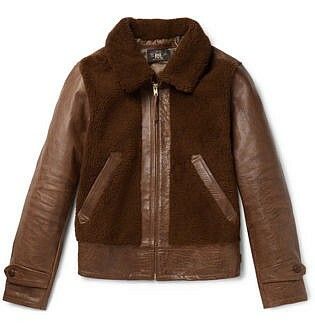 If you’re going to wear a leather jacket, make sure you have the confidence to match. 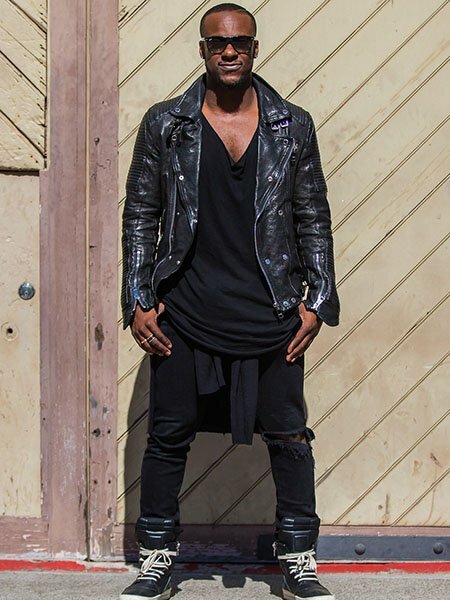 The leather jacket is a bold statement piece of clothing. 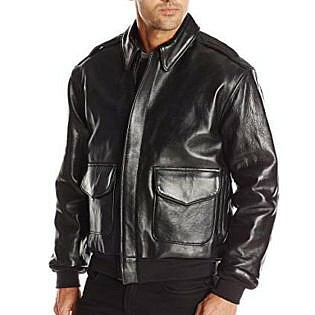 Leather jackets age nicely if you take good care of them. Be sure to keep them out of the rain and when storing, put them on a padded hanger so that they keep their shape. You don’t want them forming points at the shoulders.